F or over two decades, Assured Imaging has accepted the challenge of helping healthcare providers like you find realistic solutions for their medical imaging needs. Our goal is to be the best medical imaging partner any healthcare provider could have. Since we offer a full array of equipment, services, and supplies, you have abundant options for designing imaging systems. 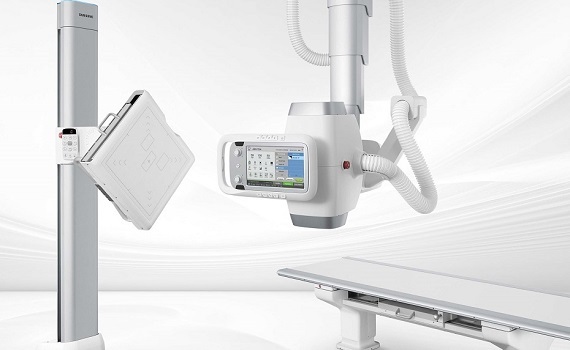 We represent the product lines of many medical imaging companies who have proven their leadership through quality, innovation, and competition. The more options we bring our customers, the better. You will get expert advice on medical imaging system integration from the seasoned consulting teams of Assured Imaging. We not only design systems, we make sure they work every day. We have gained practical knowledge from many years of solving customer problems with a wide variety of equipment. If you have a medical imaging problem, we have the solution or the experience to create the solution. If you are a medical center, imaging center, family practice, Orthopedic, chiropractor, podiatrist or a veterinarian office looking for a digital solution to medical imaging, a digital upgrade to your existing X-ray system, ultrasound, CT Scanner, PACS or need service on your current imaging system, please contact us and our knowledgeable staff will help you make the best decision for your departmental needs as well as provide quality products and support.